The warm months of summer are here, even though it's still technically Spring. The arrival of the warm weather also announces the arrival of the outdoor concert season for Oracle. 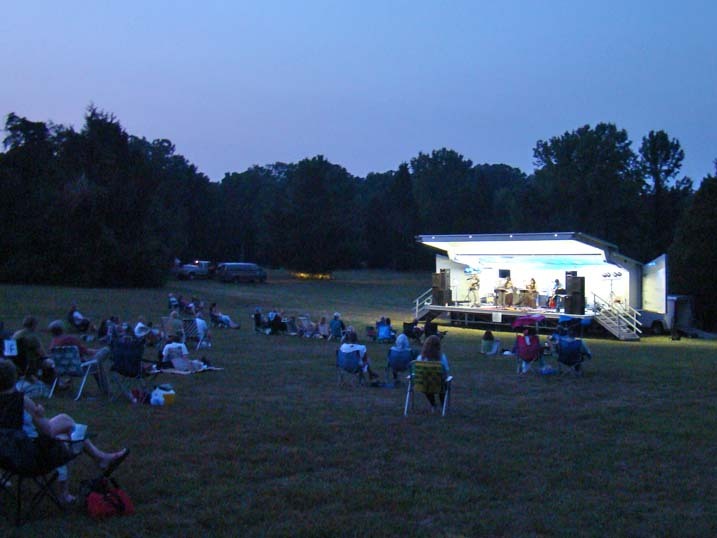 This year we have a total of three outdoor summer concerts planned, all in the Laurel area. The first of these concerts is coming up on Friday, June 24th, as we open the Montpelier Mansion Concert Series for the third year in a row. Situated on the grounds of the stately Montpelier Mansion in Laurel, Montpelier has hosted such luminaries as George Washington and Abigail Adams (FLOTUS, wife of John Adams). The concert location is on a beautiful hillside just below the mansion itself. Bring a blanket or lawn chair...there is nothing else to sit on. You're also welcome to bring a picnic dinner. The concert gets underway at 7:30 and runs until 9:30. It is open to the public of all ages and totally FREE! It's a great opportunity to bring the kids, grandkids, nieces & nephews out to hear a live band, and of course we'll be playing a family oriented program, including songs the kids will recognize right away and want to sing along to. After the concert Oracle is happy to do a meet & greet with everyone for a while so the kids can come down to meet the band members and hopefully catch a little of the joy of what it's like to perform music for a great audience. We really encourage everyone to arrive a little before concert time & take a few minutes to walk the gounds of the mansion. 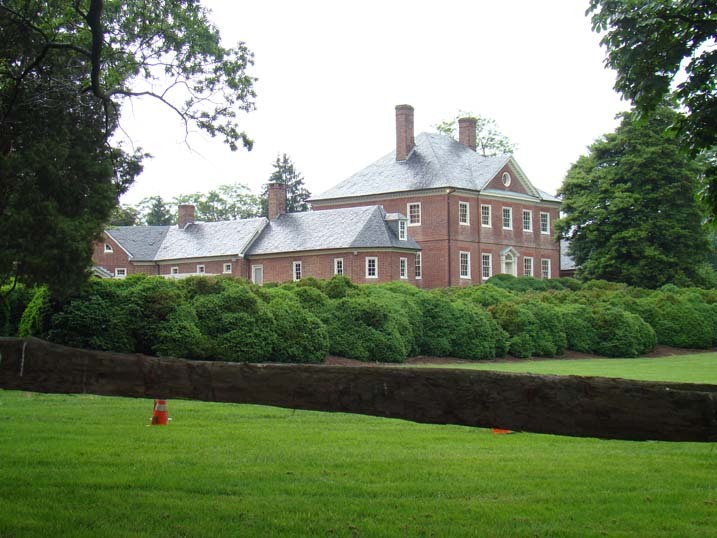 The architecture is Georgian, and the mansion was built by "Major" Thomas Snowden, (for whom "Snowden Parkway" was named), beginning in 1791. The 70 acres it presently occupies were originally part of a 9000 acre plantation. In the event of inclement weather call (301) 776-2805 to find out if the concert has been cancelled. Rest assured that no matter how threatening, the show WILL go on if at all possible and within the guidelines of safety. 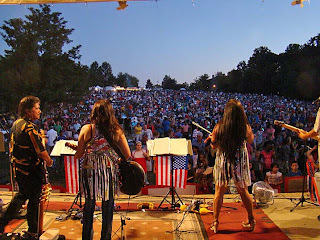 On Saturday, July 2nd Oracle will be returning to Granville-Gude Park at Laurel Lakes for the annual Independence Day concert and fireworks display. This event draws thousands to an idylic setting in the beautiful concert pavilion next to the lake. The day kicks off with a morning parade through the streets of Laurel. Following the parade they have a classic car show on the grounds, and of course there is the carnival atmosphere as vendors of all sorts man their booths selling all sorts of great food, novelties, and services. The band kicks off the music at 5:00, and with only a single intermission we play right up to around 9:15 and the beginning of the fireworks display. The park is located at the intersection of US Route 1 and Cherry Lane in Laurel Maryland. Parking is available across Cherry Lane at the Laurel Mall. Obviously with 75,000+ people expected (praying for good weather), parking will be easiest early in the afternoon. Then on Friday, July 29th Oracle will return to Laurel Lakes for a concert sponsored by the Laurel Department of Parks & Recreation. These concerts are less crowded than the big Independence Day concert, but are nevertheless an enormous amount of fun, particularly for the children, as you can see in this video clip from last year. Whether you make it out to one or all of these summer performances, the main point is we hope to see you soon. 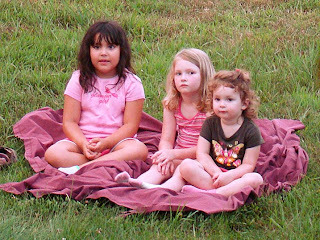 Dust off those lawns chairs, break out the blankets, and find that pic-a-nik basket (subtle Yogi Bear reference for those that remember), and bring the kids (of all ages). There promises to be something for everyone!